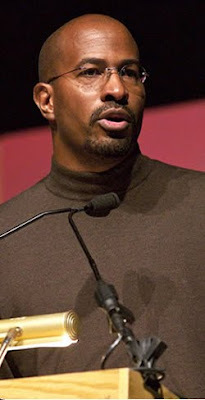 Van Jones' charisma and commitment to creating a green economy and generating jobs for people most needing them are typical reasons to be targeted for attacks in Cointelpro-signature style. Today, John Robbins called Americans to action to halt media persecution of Jones. Historically, the Cointelpro racist, discrediting, dirty trick to disrupt progressive movements and their leaders has been applied to countless civil and human rights advocates, including Paul Robeson over sixty years ago prompting his song, Scandalize My Name. Robbins, author of Diet for a New America and The Power of Partnership and founder of EarthSave International and YES! urged Americans today in his email circulaing the Nothern Hemisphere, "Stand up for Jone's green jobs agenda, and for President Obama." Jones has been a lifelong civil and human rights advocacy leader. He founded the nation's largest civil rights education, advocacy, non-government organization, Color of Change before combining this humanitarian work with environmentalism. ... This "rising African American visionary" as Robbins refers to Jones, is being labeled "Communist" and "dangerous" among others, typical for hundreds of innocent American "Targeted Individuals." Since days of J. Edgar Hoover when Cointelpro was formalized, this tactic based on lies and racism has been applied in attempt to wear down charismatic leaders such as Paul Robeson, Rev. Martin Luther King Jr., and more recently, former Congressperson and U.S. Presidential Candidate, Cynthia McKinney, to name only a few higher profile targeted individuals. In 1976, the U.S. Senate Select Committee Investigation of Intelligence Agencies, under leadership of Senator Frank Church, shockingly revealed the program's covert, tactics including physical and psychological abuses, torture, and murder of Americans on American soil. This investigative committee revealed Cointelpro's purpose was to “disrupt, misdirect, discredit, or otherwise neutralize” progressive movements and their leaders. The Cointelpro war on Americans officially halted in 1971 but the violent government program operates today under a different code name according to M. Wesley Swearingen. (See: M. Swearingen, retired career FBI agent with first-hand inside knowledge of Cointelpro, FBI Secrets -- An Agent's Expose, Also see Official CIFA government website) Rep. Rush Holt (D.NJ) recently called for a new U.S. counterintelligence program investigation because of its rampant abuse of powers.